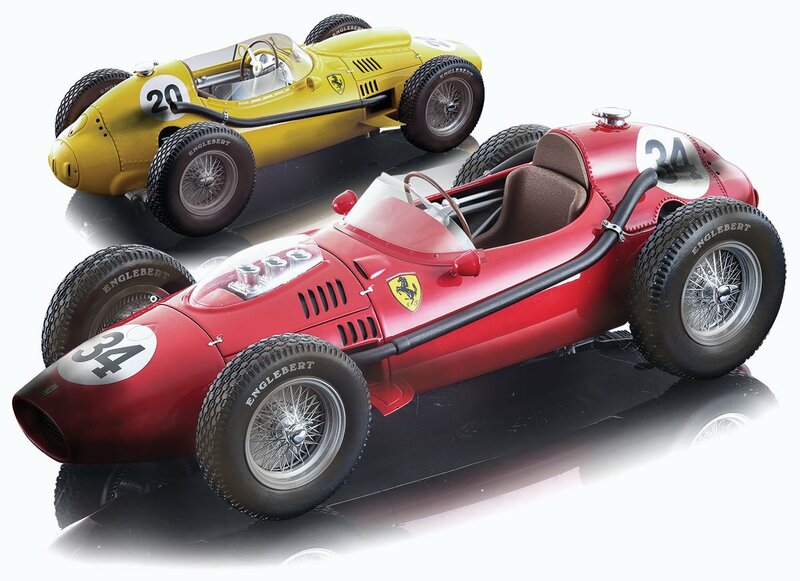 You may remember that a couple of months ago we offered Tecnomodel’s trio of 1:18 replicas of the 1958 Ferrari Dino 246 Formula One car. These were for Peter Collins, Luigi Musso and Olivier Gendebien. Well, since then we’ve received some bad news and some good news concerning the project. 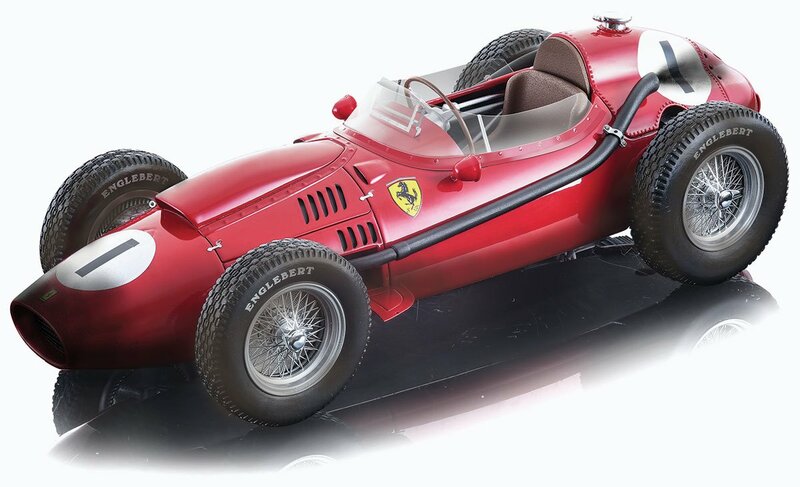 The bad news came first, when we were informed that the models had been so popular, that Italian Ferrari dealers had accounted for 100% of the production quantity, leaving zero for everybody else. As you can imagine, we were nonplussed! But good news was to follow later, when Tecnomodel confirmed that it would be making the cars available as ‘dirty’ race-aged cars, at even lower limited edition numbers than the original models. It is these versions that we will be receiving in the near future. The Collins model is particularly poignant. It is from the 1958 British Grand Prix at Silverstone, which he won by almost half a minute from team-mate Mike Hawthorn. This would tragically prove to be Peter’s last Formula One win, as he was to lose his life in the very next race at the Nurburgring. Sadly, the Musso car also has a sombre tale behind it. 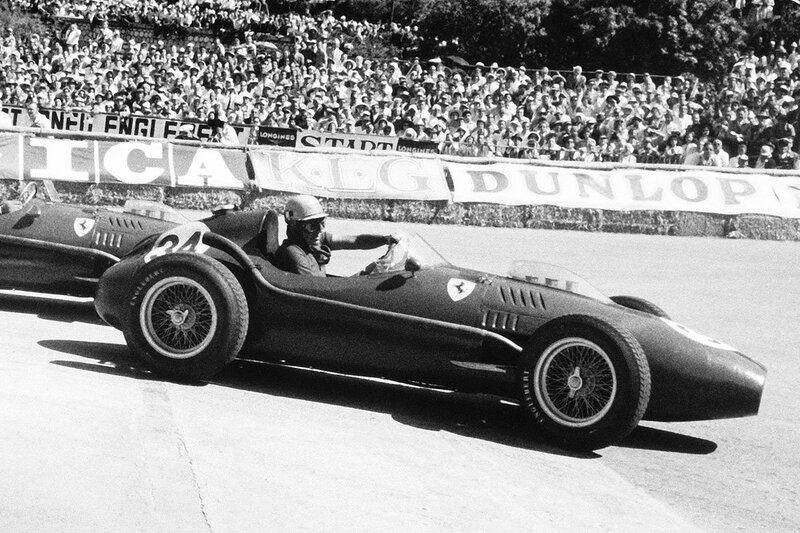 The Italian driver started the 1958 campaign well, with a pair of runner-up finishes in Argentina and Monaco. But he was also destined not to survive the season, losing his life in the French Grand Prix at Reims. The yellow 246 was entered by future four-time Le Mans winner Olivier Gendebien in the 1958 Belgian Grand Prix, for the home Ecurie Francorchamps team. He finished that race sixth. We’ve already come close to not receiving these replicas at all, so desirable are they. You really need to place your pre-order for any of these that take your fancy now, if you don’t want to miss out on this rare second opportunity.